This post has been sponsored by Mott’s. All thoughts and opinions are my own. Our two+ week holiday break is now over and as much as I loved the quality time with my big boys, my house is a wreck and I haven’t been able to check my emails in days. I am definitely ready for the routine and a little bit of down time to get back in the swing of things! 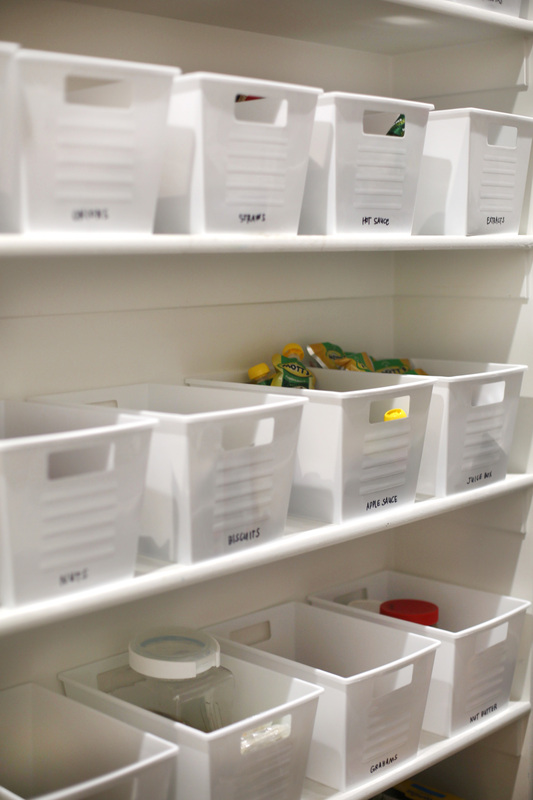 I’ve been tackling the organization of an area every week or so in the house. The pantry is a work in progress, but I get asked about it a lot so I wanted to share! 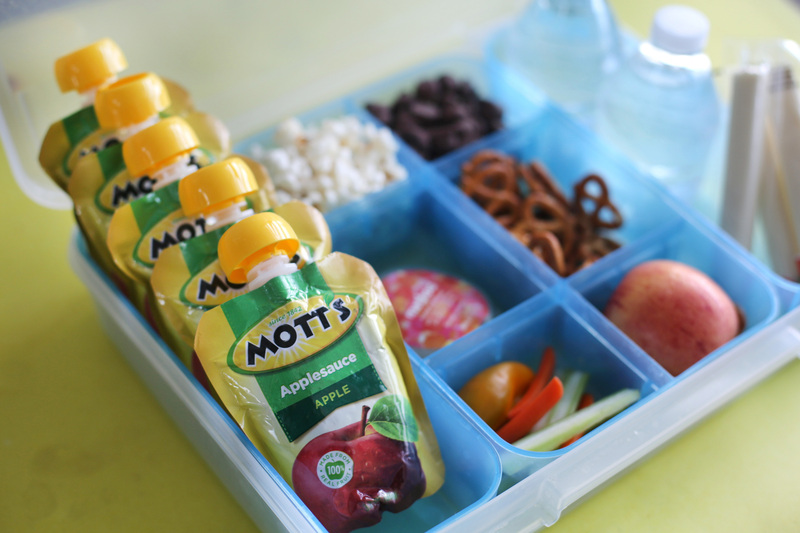 I teamed up with Mott’s to share our beloved pantry and how I mapped it out to make it extra easy for my kids to be independent during lunch and snack time! You can grab both their Applesauce Pouches and their new Apple Juice Pouches at Dollar General, so you know it’s a steal! 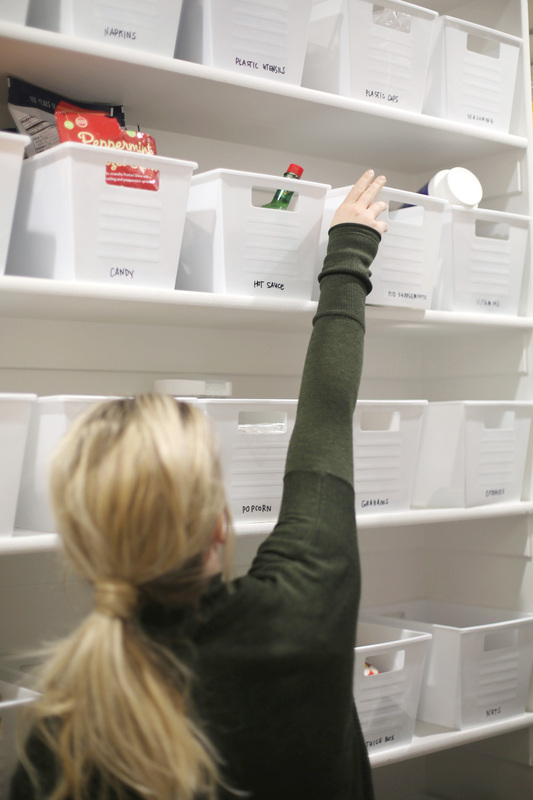 In the planning stages of the house, I knew I wanted the pantry to be a galley style: long and skinny with 12 inch deep shelving running parallel. Makes it really hard to photograph, but you can catch the video footage on my Home Tour highlight on Instagram! It has an amazing door (a half door that connects the pantry with the garage, so you can get groceries right from the car to the pantry! 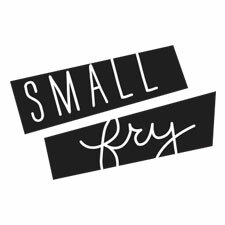 ), open shelving for pretty serving dishes and vases, and a kid art wall that helps my actual kitchen feel uncluttered but is still on display in a high traffic area. I invested in shallow shelves so nothing would get lost in the back or in corners! Corners are the biggest wasted space in my opinion, so we don’t have any! These bins are the perfect size, were $1 each, and I love that everything is uniform and pleasing to the eye since there isn’t a door on our pantry! The only things that don’t fit in the bins are bigger bags of chips or cereal boxes, so they get their own shelf. I did a whole kid-level shelf devoted to packing lunches so the kids could easily walk the aisle and pack most of their lunch (or grab an easy after-school snack) on their own! 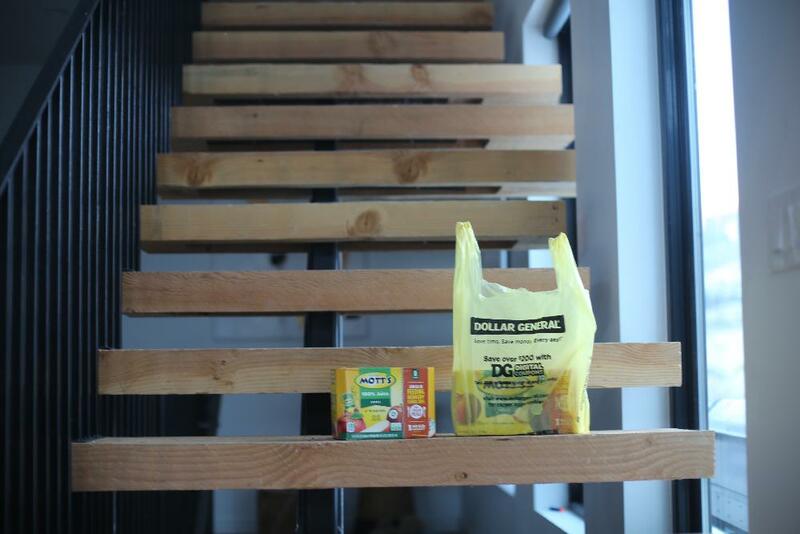 I always stock Mott’s Applesauce Pouches and Juice; they’re one of the few brands that ALL my kids will eat, so I feel like these purchases at Dollar General give me the most bang for my buck! And then, there are chips, nuts, cookies. I also have the snack tray in our fridge for fresh fruit, vegetables, hard-boiled eggs, yogurt, hummus and other dips, string cheese, and more! The boys get up around 7. They know that they have to be fully dressed for school, breakfast, teeth brushed, a morning spiritual thought with mom and dad, and (of course) lunch packed before they can watch TV. That seems to be all the motivation they need before the bus comes at 8:05! 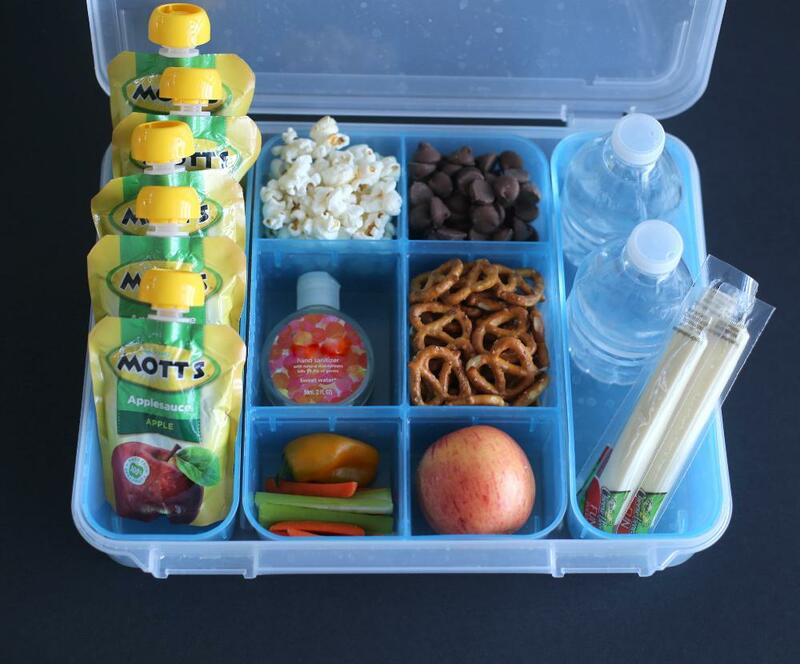 Once they take off, I pack my own snack tray — credit goes to Shannon of Clean Eats and Treats for the awesome idea! — that I take in the car (we’re about 20 minutes from any gas stations or grocery stores) so that we’re covered on the go, too! 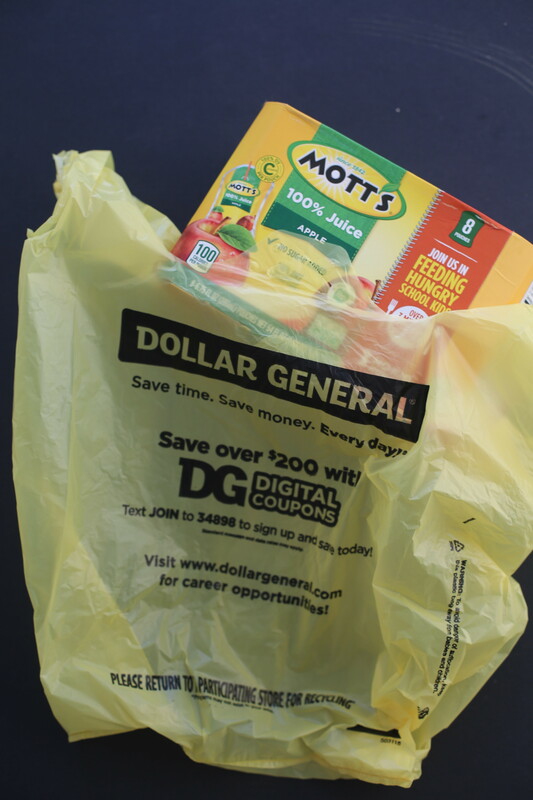 You can find a Dollar General near you here. I love having one so close to me and am always sure to stop in for excellent deals on the brands we love like Mott’s!